As a consequence there was much continuity between Nazi Christmases and those of earlier eras. People still decorated Christmas trees, exchanged gifts, and held festivals of light. But over time the Christian elements of the holiday were de-emphasized, replaced by parallel elements with hints of Nazi racial theory. Here is 1939 article from N.S. Briefe, a Nazi party newsletter. It contains tips on celebrating the winter solstice aspects of Christmas, reviving connections to the pagan era Yule and Saturnalia celebrations that predated the Christian holiday and presenting them in a more modern context. 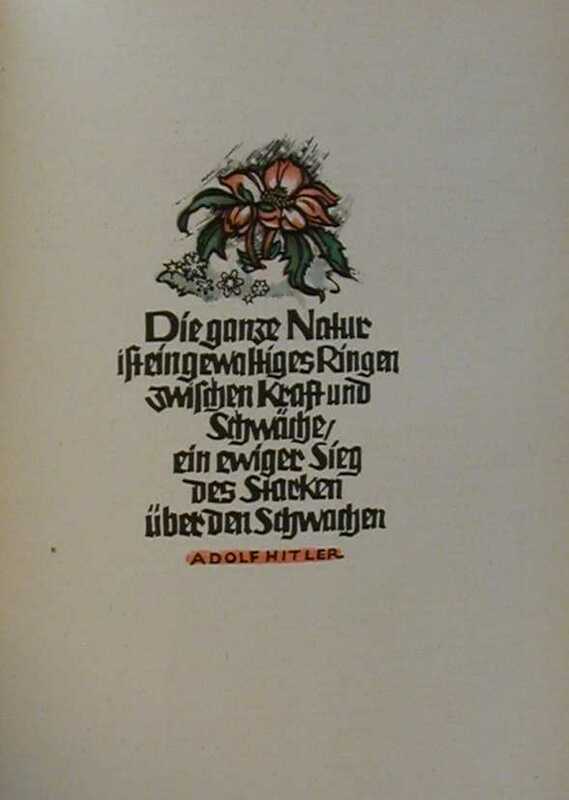 And here is a translation of a Nazi revision of the story of the birth of Jesus, transported to a Teutonic context and largely stripped of references of Christianity. Here is a photograph of Hitler in 1944 with Weihnachtsmann, the German Santa. Gee, and I thought Hallmark had all the good holiday card lines. Obviously, none of this material had much of an impact on Summer of Long Knives. But I thought I’d share it anyway, to reflect on darker Christmases past, and to remind myself that despite all my complaints about the crass commercialism and the crowds and the silliness surrounding our contemporary holiday season, I’ve never had to see them under conditions this bad, and hopefully I never will. Happy holidays, Constant Readers. Blogging will resume shortly after the New Year.